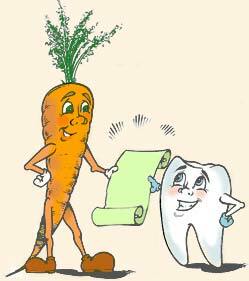 Oral health has a significant relationship to overall health! You should be aware that taking care of your gums and teeth is much more important to your health than you ever thought possible. You need to know that gum disease can cause, contribute to, or increase the risk of any disease you may now be dealing with. If you haven’t yet done so I suggest you link to Dental Disease and Health Risks and The Damage it Does. From there you can link tot the various health issues that are associated with gum disease. Gum disease is an oral health issue, up to a point. Gum disease is the result of not taking proper care of your gums, but once it begins to advance the problems it causes will affect your general health. You should also know that gum disease will reduce the successful treatment of any existing disease and will interfere with any effort to extend life expectancy and improve the quality of your life. As you can imagine, not achieving the results you are seeking could also result in great frustration for yourself and your treating physician. Because you are reading this I’m going to assume that you want to ensure you have at least eliminated dental disease as a possible cause of, or contributor to, your existing health problems. But talking about the problem is not the same thing as doing something about it. Like the saying goes, if you aren’t part of the solution, you’re part of the problem. The good news is that you don’t have to become a dentist to do something about restoring your oral health, but you will need the help and support of your dentist and dental hygienist to find out whether or not you have gum disease, and the extent of it, or if you are free from it. You must also be clear that you cannot make that determination on your own. Gum disease is insidious and just because you are free of pain is no indication you are free of gum disease. It is a silent killer of teeth and you’d be making a big mistake if you think you can evaluate the state of your oral health. This takes on greater significance if you have not seen a dentist on a regular basis.